The question now is, how do you open that space in your home to incorporate a folding sliding door? The first thing that you need is an opening to accommodate the door. The opening must be of sound structure to allow the door to be installed correctly. The opening walls and floor can be constructed from structural timber, steel, brick, concrete or concrete block. Thermalite, cinder blocks or breeze blocks are not suitable to obtain a firm structural fixing. 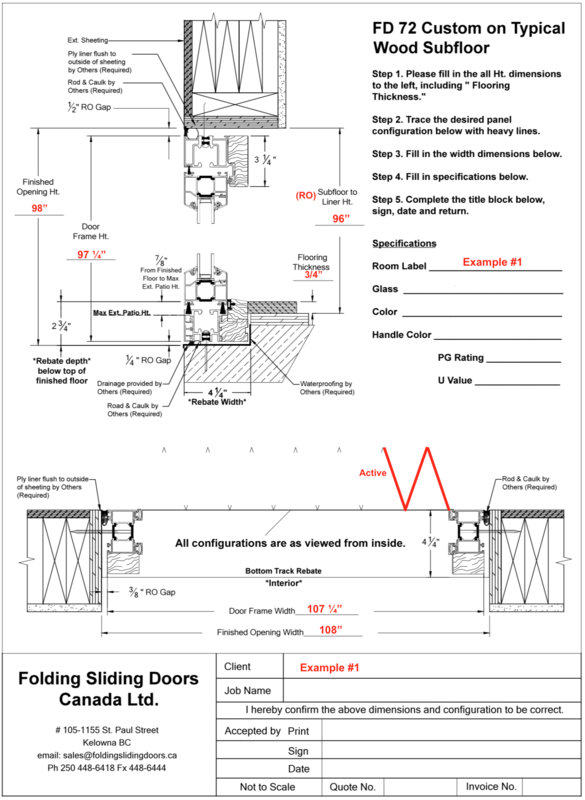 The head of the opening must be constructed from steel, structural timber or concrete. Light metal lintels and timber sub-frames are not suitable to obtain a firm structural fixing. This must be done from side to side and top to bottom. Always allow 20mm (¾”) tolerance in your measurements. It is advisable to use a large spirit level to check the opening as an opening that is not level can effect your measurement. When deciding the way that you would like your threshold to be situated, always make allowances in your measurement to accommodate the bottom track. Note: the frame height includes the bottom track. For specific floor details for your project please click here.